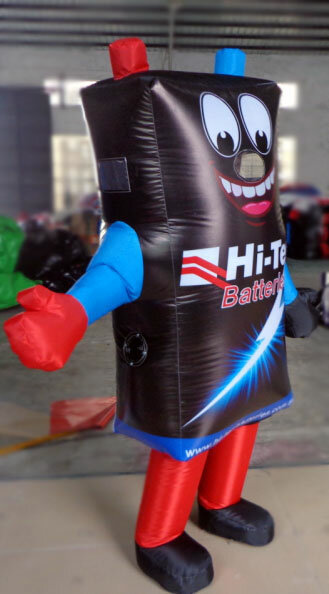 Comfort Air Inflated Costumes are light weight producing less strain on the operator from heat and weight of carrying the costume. Price Air inflated mascot costumes are on average 25% less expensive than traditional fabric mascots. 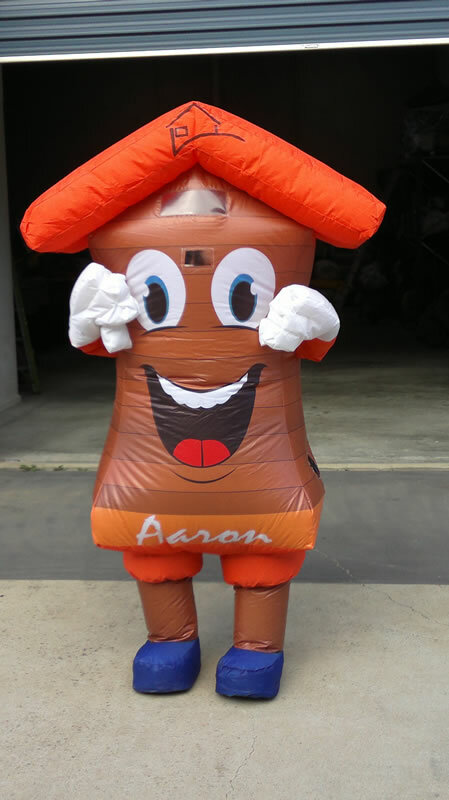 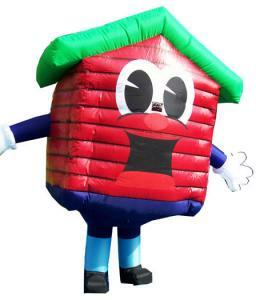 Durability Air inflated mascot costumes are very durable. The fabric used is a heavy duty vinyl coated nylon with UV and Mildew inhibitors. 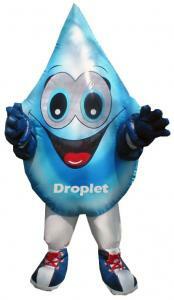 Easily Transported Air Inflated Mascot Costumes are easily compacted and stored in a small carry bag. 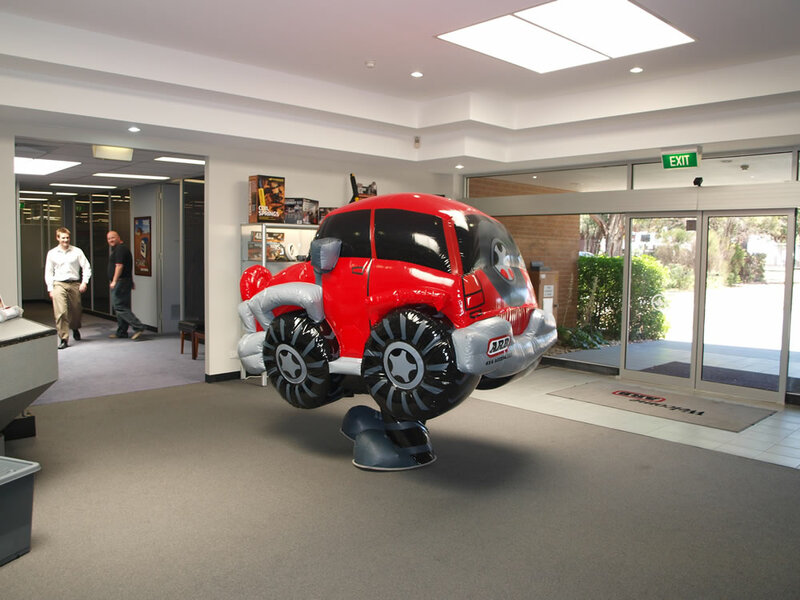 Design MrInflatables talented designers can take any concept and create an air inflated Mascot. What happens when people come across Inflatable Costume Characters? 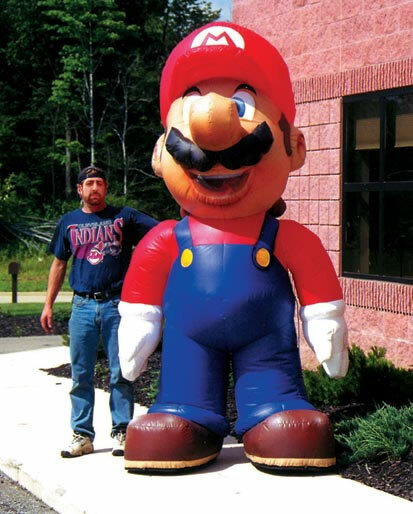 They smile and laugh. 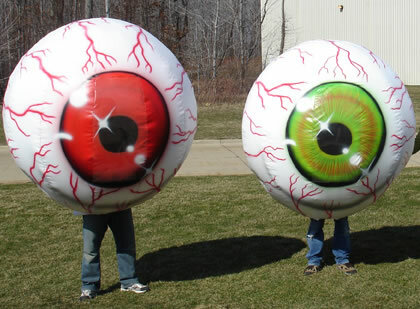 They tell others about it! 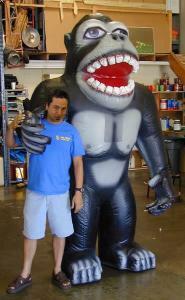 Your customers and prospects will associate these good feelings with your product or service and will easily remember you. 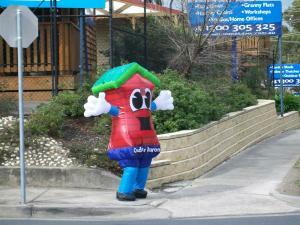 Put your promotion into motion with an inflatable costume of your targeted product, character or special shape. 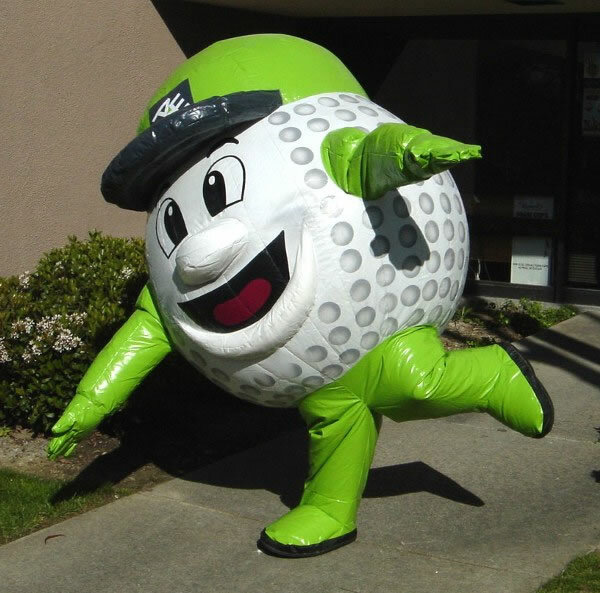 Dynamic inflatable costumes bring your promotion to life, add personality to your event and are loved by children and adults alike. Why put on a sweaty old traditional costume when you could be walking with air? 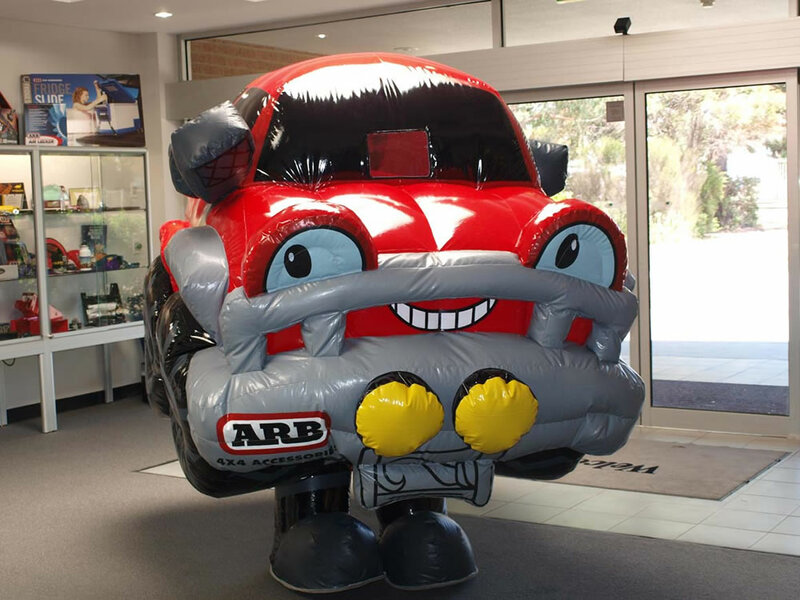 Add some energy to your next promotion with a walk around inflatable costume and form a bridge between traditional media and in-store POP. 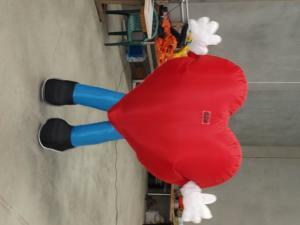 Announce your appearance at a trade show or exhibition with style and imagination. 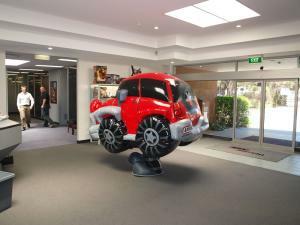 The flexibility of this product will give your sales promotion team a marketing tool that can be used again and again. Easy to operate and compact to transport in the rear of a car, our inflatable costumes provide an exciting and informative addition to sales campaigns and road shows.